Jadhav, a businessperson and a former Indian Navy officer is accused of being an agent of the Research and Analysis Wing (RAW). He was sentenced to death by a military court of Pakistan. MUMBAI: On the day Kulbhushan Jadhav's mother and wife met him at the Islamabad prison, his friends in Mumbai took a pledge to continue campaigning in the city for his release. “As there is no evidence against Kulbhushan, the Pakistan government should release him immediately,” said Tulshidas Pawar, a friend of Jadhav. He along with other friends of Jadhav had organized a bike rally and human chain in support of Jadhav from Arthur Road to Currey Road in Central Mumbai on Sunday. “We want to know how he is mentally and physically,” said Pawar, hours after Jadhav’s Mother and wife met him at Islamabad. “Our campaign will continue until he is brought back,” said another of Jadhav’s friend Sachin Kale. 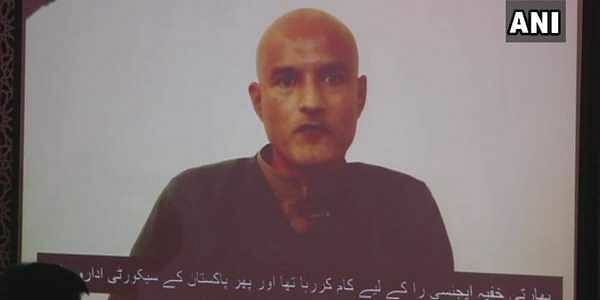 “We are with Jadhav and his family,” he added.